More and more, I’m lining my classroom with manual and electric typewriters. Students have been migrating to these machines, and they are crafting poems, writing stories, and composing lyrics. Though I possess little aptitude mechanically, I can get a machine into basic running condition. 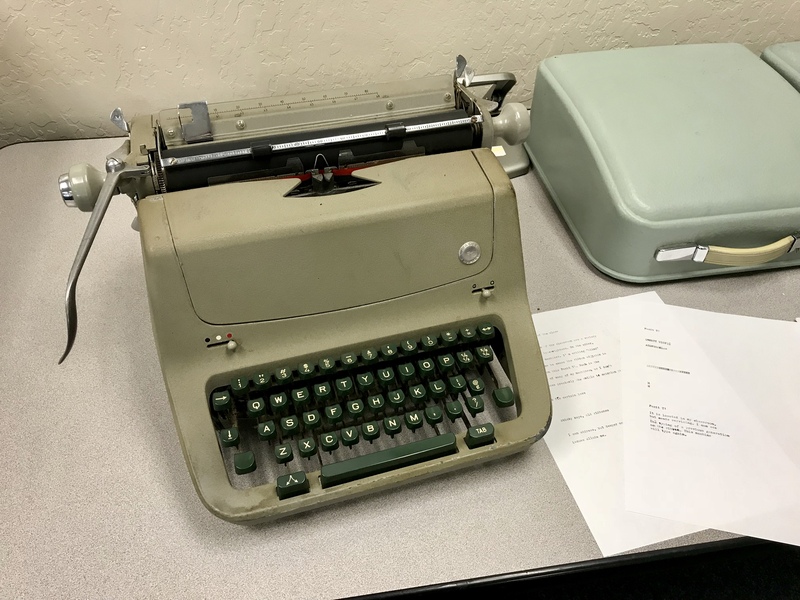 I hope to do so with this Facit T1, which was originally employed at a high school in the Bay Area some decades ago. Somewhere, in my files, are some ephemera from that period. I’ll post that material as it surfaces. 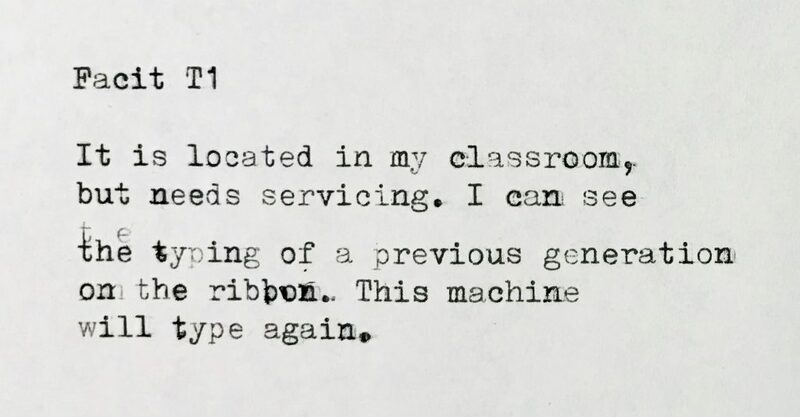 As seen at TypewriterDatabase.com (ser. no. T1-133882). If the TI is anything like my TP1 and TP2 it should be a great typer.